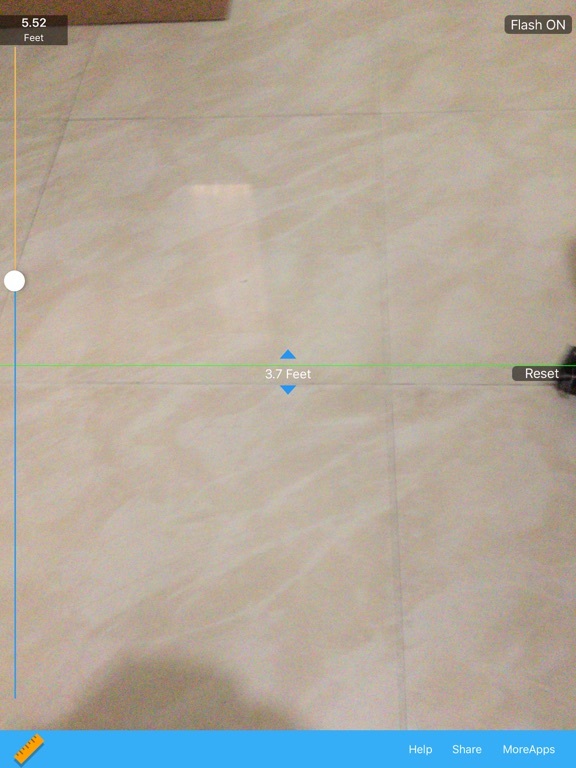 Easy Distance Measure one easy to use tool to measure distance with camera. 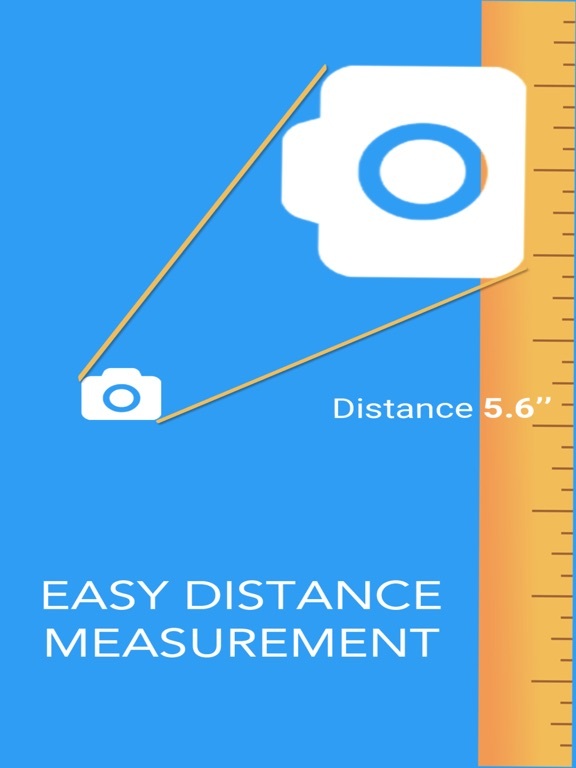 Easy Distance Measure helps you to get distance of any object you see through your camera on your iPhone or iPad. 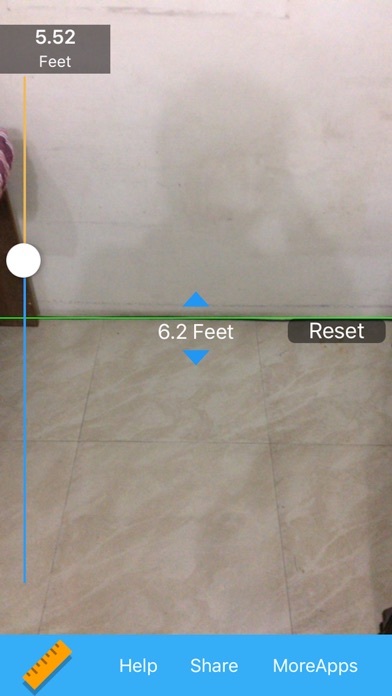 Easy Distance Measure uses the height of the camera lens and its tilt angle to calculate the distance to the object. To start using it, you need to set your height first to get better result. 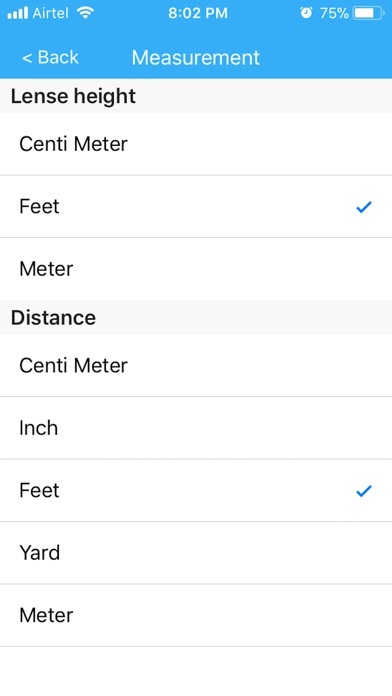 - Set your height, set measurement using and measure. - Share your results by email and social media. 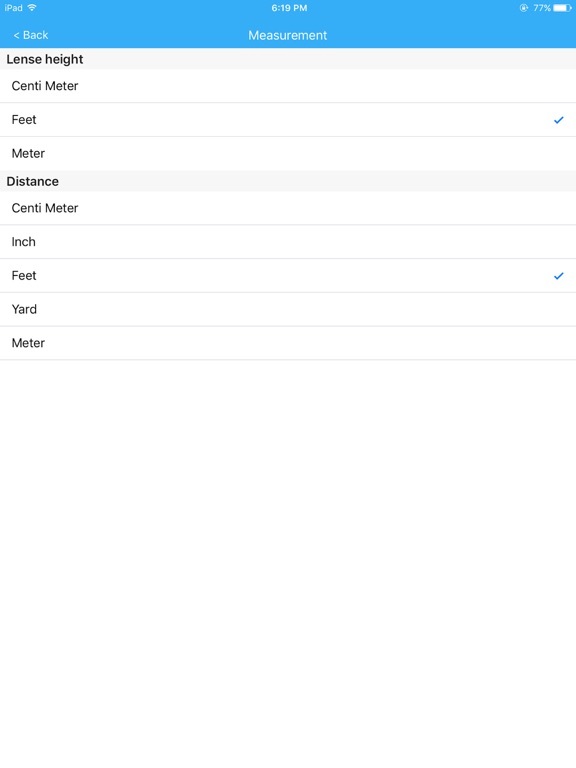 - Includes the possibility to calibrate your iPhone/iPad for most accurate results! - Make a snapshot of the image with the distance and store it in the photo album for later use. - Supports different measurement units like feet, inch, centimeter, yards etc. - Turn on/off flash light to use app in dark area or night time. NOTE: Measurements taken with Easy Distance Measure are not as accurate as measurements taken with standard tools. Do not use Easy Distance Measure for construction or other uses where inaccurate measurements could cause personal injury or property damage.